Satanism and Halloween: What's the Connection? ​A lot of controversy surrounds Halloween. While it seems like innocent fun to many people, some are concerned about its religious — or rather, demonic — affiliations. This begs many to ask the question about whether Halloween is Satanic or not. The truth is that Halloween is associated with Satanism only in certain circumstances and in very recent times. Historically, Halloween has nothing to do with Satanists for the primary fact that the formal Satanism religion was not even conceived until 1966. Halloween is most directly related to the Catholic holiday of All Hallows Eve. This was a night of feasting prior to All Saints Day which celebrates all the saints who do not have a holiday set aside for them. Halloween has, however, picked up a variety of practices and beliefs most likely borrowed from folklore. Even the origins of those practices are often questionable, with evidence dating back only a couple hundred years. 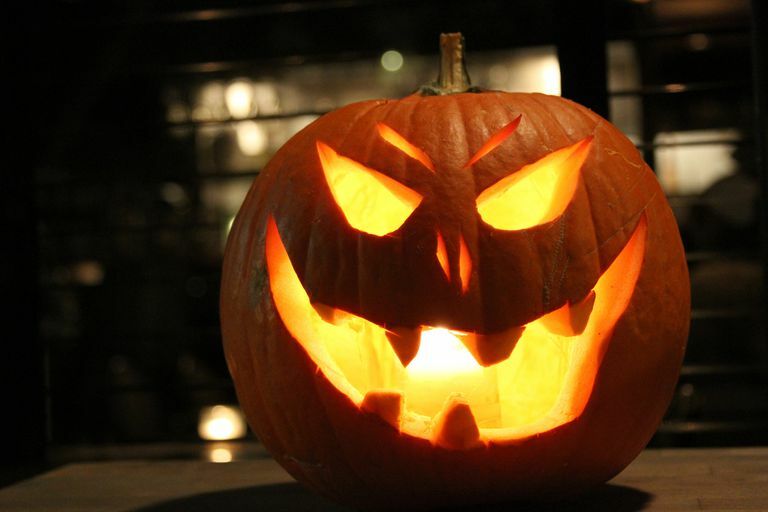 For instance, the jack-o-lantern began as a turnip lantern in the late 1800s. The scary faces carved into these were said to be nothing more than pranks by "mischievous lads." Likewise, the fear of black cats stems from a 14th-century association with witches and the nocturnal animal. It was not until World War II that the black cat really took off in Halloween celebrations. And yet, older records are rather quiet about what might have been taking place around the end of October. None of these things has anything to do with Satanism. In fact, if Halloween folk practices had anything to do with spirits, it would have been primarily to keep them away, not attract them. That would be the opposite of common perceptions of "Satanism." Anton LaVey formed the Church of Satan in 1966 and wrote the "Satanic Bible" within a few years. It is important to note that this was the first organized religion to ever label itself as Satanic. LaVey stipulated three holidays for his version of Satanism. The first and most important date is each Satanist's own birthday. It is, after all, a religion centered on the self, so it is understandable that this is the most significant day to a Satanist. The other two holidays are Walpurgisnacht (April 30) and Halloween (October 31). Both dates were often considered "witch holidays" in popular culture and thus they became linked with Satanism. LaVey adopted Halloween less because of any inherent Satanic meaning in the date but more as a joke on those who had superstitiously feared it. Contrary to some conspiracy theories, Satanists do not view Halloween as the Devil's birthday. Satan is a symbolic figure in the religion. Furthermore, the Church of Satan describes October 31 as "the Fall climax" and a day to costume according to one's inner self or reflect on a recently deceased loved one. So, yes, Satanists do celebrate Halloween as one of their holidays. However, this is a very recent adoption. Halloween was celebrated long before Satanists had anything to do with it. Therefore, historically Halloween is not Satanic. Today it only makes sense to call it a Satanic holiday when referencing its celebration by actual Satanists.